Detailing the physical features, habits, territorial reach and other identifying qualities of the Jewel Beetle. The metallic, glittering color on Jewel Beetles mesmerizes while the mystery surrounding much of their life history adds intrigue. 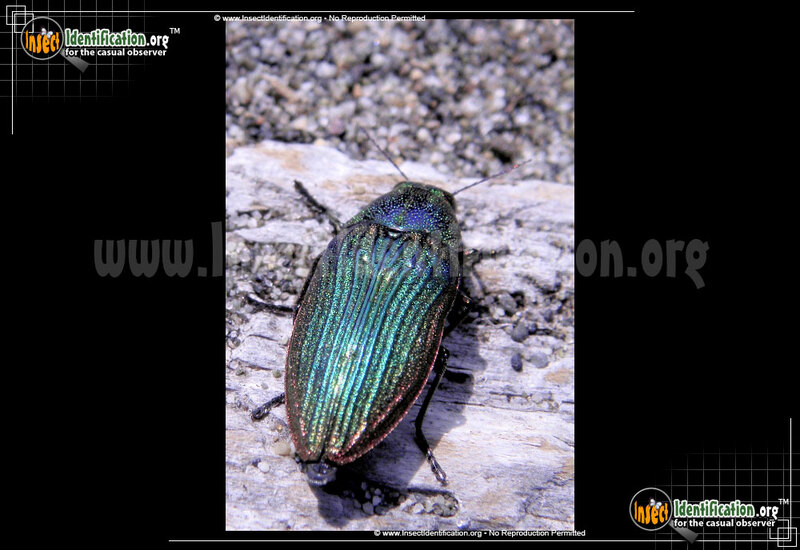 Part of the Metallic Wood Borer family, Jewel Beetles are usually found near their host tree. As borer beetles do, the larvae tunnel their way throughout the interior of the trunk and emerge from the bark when they are ready to pupate on the ground. Adults are a lustrous and bright color with textured elytra (wing coverings). There are a variety of native species found throughout North America, and there is room for more study about them.